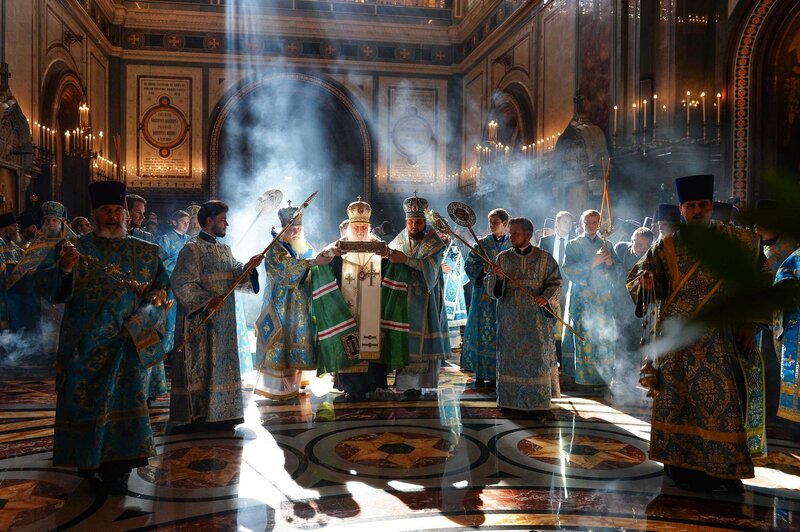 Orthodoxy and beauty are inseparable because God and beauty are inseparable. The beauty of a sunset is a reflection of our Creator, just as is the interior of a temple reflects our experience with this Creator God. We humans were formed as physical beings, placed in a material world and invited to commune with our Creator. The majesty and beauty of the created world inspires us to an awareness of God’s presence. God is the Creator of heaven and earth and is present through His creative energies. The material world, being good, is an important means through which God expresses Himself. It is through God’s created beauty that we are drawn into a relationship that is meant to be eternal and through which Divine Revelation can transform our nature. Then creation is completed and the created is united to the Creator. We are then able to say with certainty, beauty will save the world. Photo: His Holiness Patriarch Kyrill of Moscow and All Russia. St. Amphilochius, bishop of Iconium (394). St. Gregory, bishop of Agrigentum (680). St. Alexander Nevsky (in schema Alexis), grand prince of Novgorod (1263). St. Metrophanes (in schema Macarius), bishop of Voronezh (1703). New Hieromartyr Boris bishop of Ivanonsk, Eleazar Spyridonov of Eupatoria priest, Crimea and Martyr Alexander (1937). New Martyr Archimandrite Gregory (Peradze) of Georgia, who suffered in Auschwitz, Poland (1942). St. Sisinius the confessor, bishop of Cyzicus (ca. 325). Martyr Theodore of Antioch (4th c.). Venerable Ischyrion, bishop in Egypt and hermit of Scete. St. Amphilochius of the Kiev Caves, bishop of Volhynia (1122). St. Anthony of lezeru-Vilcea (1714) (Romania). Venerable Trudo, abbot (693) (Neth.). St. Helenus of Tarsus, bishop (Greek). St. Dionysius I, patriarch of Constantinople (15th c.). 5 For this reason I left you in Crete, that you should set in order the things that are lacking, and appoint elders in every city as I commanded you— 6 if a man is blameless, the husband of one wife, having faithful children not accused of dissipation or insubordination. 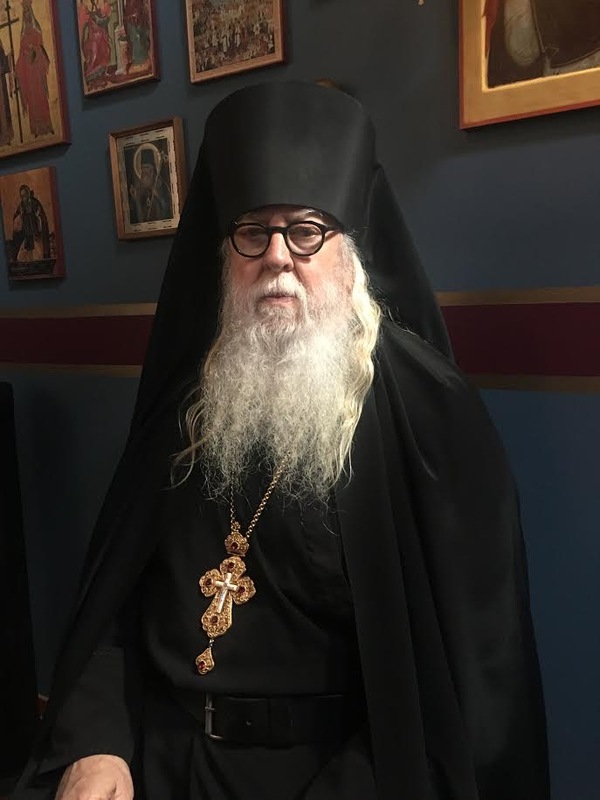 7 For a bishop must be blameless, as a steward of God, not self-willed, not quick-tempered, not given to wine, not violent, not greedy for money, 8 but hospitable, a lover of what is good, sober-minded, just, holy, self-controlled, 9 holding fast the faithful word as he has been taught, that he may be able, by sound doctrine, both to exhort and convict those who contradict. 10 For there are many insubordinate, both idle talkers and deceivers, especially those of the circumcision, 11 whose mouths must be stopped, who subvert whole households, teaching things which they ought not, for the sake of dishonest gain. 12 One of them, a prophet of their own, said, “Cretans are always liars, evil beasts, lazy gluttons.” 13 This testimony is true. Therefore rebuke them sharply, that they may be sound in the faith, 14 not giving heed to Jewish fables and commandments of men who turn from the truth. 15 To the pure all things are pure, but to those who are defiled and unbelieving nothing is pure; but even their mind and conscience are defiled. 16 They profess to know God, but in works they deny Him, being abominable, disobedient, and disqualified for every good work. Thank you for this wonerful, inspiring and uplifting message! I am an artist and this is the reason I always pray, when doing my art. Andrew Wyeth said the reason he painted was to tell the “Truth”. And beauty is found in the Truth.